How did this happen? The 39 other classes you teach each week go off without a hitch. Then, out of nowhere on a Friday afternoon, arrives THE class - where nothing goes as planned! The class period seems like FOUR hours long and there is NO "joyful learning." You spend more time disciplining than teaching. What happened? Real life. That's what. But you are the teacher, so, no matter the obstacles, you teach. Those "rascals" deserve no less. Learn what your biggest assets are, the importance of having a plan, how to embrace the chaos, how to get and keep students' attention, and much, much more! 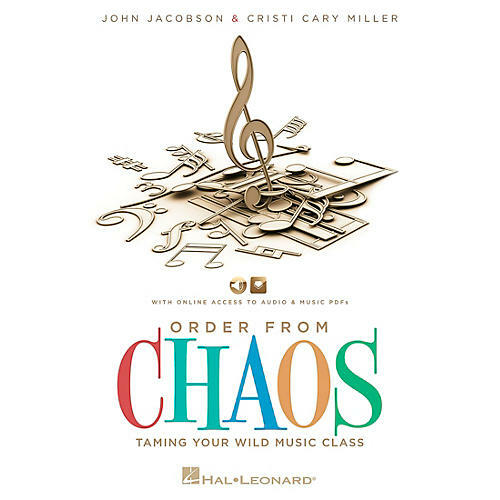 Educators John Jacobson and Cristi Miller have compiled numerous ideas and activities, and insightful food for thought to help bring some order to the chaos. For additional motivation, song lyrics to 5 original songs are also included in the book. The enclosed ENHANCED CD features performance/accompaniment audio versions of each song, and PDFs of the piano accompaniments and separate vocal songsheets. Read on!